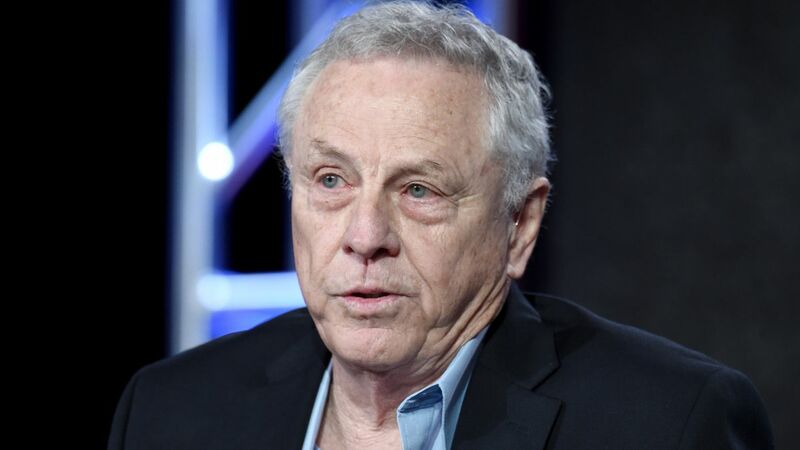 Two weeks ago the SPLC fired, for causes that weren’t clear at the time, Morris Dees, its co-founder and the major figure and fundraiser of the organization. There was talk about harassment and bad behavior in the office, but what really happened wasn’t clear. It’s still not, but it now appears, ironically, to involve racism and misogyny—two behaviors the SPLC has battled. This article in the recent New Yorker gives more details, and leads me to believe that the organization is now not only outmoded, but is going to die. I hope it comes back with its original mission, but they’ll need good leadership. Cameras were everywhere in the open-plan office, which made me feel like a Pentagon staffer, both secure and insecure at once. But nothing was more uncomfortable than the racial dynamic that quickly became apparent: a fair number of what was then about a hundred employees were African-American, but almost all of them were administrative and support staff—“the help,” one of my black colleagues said pointedly. The “professional staff”—the lawyers, researchers, educators, public-relations officers, and fund-raisers—were almost exclusively white. Just two staffers, including me, were openly gay. Co-workers stealthily passed along these articles to me—it was a rite of passage for new staffers, a cautionary heads-up about what we’d stepped into with our noble intentions. Incoming female staffers were additionally warned by their new colleagues about Dees’s reputation for hitting on young women. And the unchecked power of the lavishly compensated white men at the top of the organization—Dees and the center’s president, Richard Cohen—made staffers pessimistic that any of these issues would ever be addressed. The official statement sent by Cohen, who took control of the S.P.L.C. in 2003, didn’t specify why Dees had been dismissed, but it contained some broad hints. “We’re committed to ensuring that our workplace embodies the values we espouse—truth, justice, equity, and inclusion,” Cohen wrote. “When one of our own fails to meet those standards, no matter his or her role in the organization, we take it seriously and must take appropriate action.” Dees’s profile was immediately erased from the S.P.L.C.’s Web site—amazing, considering that he had remained, to the end, the main face and voice of the center, his signature on most of the direct-mail appeals that didn’t come from celebrity supporters, such as the author Toni Morrison.
. . . The staffers wrote that Dees’s firing was welcome but insufficient: their larger concern, they emphasized, was a widespread pattern of racial and gender discrimination by the center’s current leadership, stretching back many years. For me the sign that the SPLC was plummeting earthward was its demonizing of Hirsi Ali and Nawaz, who were certainly not anti-Muslim extremists: Nawaz is a Muslim and Hirsi Ali’s last book was a plan to make Islam less extremist. This smacked of mission creep: an organization that now had less to do because of the moral improvement of America still had to find a way to spend its money. It has in fact about half a billion dollars in endowment, more than does the American Civil Liberties Union. Moser’s piece, while giving these details, is a bit marred by being more of a personal mea culpa, in which he wonders how his good intentions could have been coopted by such a dysfunctional outfit. The SPLC is, however, undergoing an outside review, and I wish them well. My advice: stop paying huge salaries to the top dogs, walk the walk by giving minority employees real power, get rid of those offshore money stashes, and, above all, concentrate on real issues of poverty and law and stop making the “little lists”. This entry was written by whyevolutionistrue and posted on March 22, 2019 at 2:15 pm and filed under bigotry. Bookmark the permalink. Follow any comments here with the RSS feed for this post. Post a comment or leave a trackback: Trackback URL. End of the Sothern Poverty Law Center? Doubtful. Not-for-profit law centers generally change hands, form, or even (rarely) names but do not disappear. Take it from an attorney. Jerry, I think that link to the New Yorker piece may be incorrect. Let me try a second time. Shucks, I did indeed put my name and address where I’m supposed to, but nothing came through. I’m getting nowhere fast! This is the third time I’m trying to post, and yes, I have been putting my name and email addy in the proper places. Yes, clicking on the article takes you to Twitter, not the New Yorker. Here’s a tiny link to the addy. I have not succeeded in posting the full addy, which is long. If they have half a billion stashed away they will be around a while. I hope it will be long enough to find a worthwhile mission and clean house before the money runs out. Cohen may the one to get them on the right tract, His statement sounds encouraging at any rate. “That’s what our deeply talented and committed staff deserve – and we know it’s what you expect from us. Thanks. That is very good news. Additionally, according to Charity Navigator, SPLC had around 9 years of operating expense, or $1 billion, in the bank, so to speak, whereas ACLU had around 2.5 years, or $400 million, about 2.5 times less. I have not looked up any other charities and do not know whether SPLC’s figure is out of line, but a physicist would say that it is of the same order of magnitude as ACLU’s. I do not remember in detail, but a few years after the Harper’s article appeared, I contacted SPLC, noting among other things that their expense ratio was poor (it still is). Part of their answer had to do with the need for security, particularly to protect the premises and Mr. Dees himself. As I said, I do not remember the discussion in detail, but I remember being more or less satisfied with their answers. I agree that it was improper to “demonize” Hirsi Ali, and I have other differences with SPLC, but I am not sure that they are to be demonized either. I do not know what position Ms. Tchen will occupy, but I wish her well. FYI – you only ever need to post the bit before the “?” in any url. Thank you, thank you! I am so intimidated by those long, long URLs! This is useful information. This is very sad. The organization was one of the most prominent anti-hate group organizations. The fact that they lost track is bad enough, but the delight this will bring to White Nationalist groups is priceless. But, today it does seem there are many more people watching these groups. We must keep shining a light on them. I wish I had a dollar for every time one of these clown car organization began to plummet to earth, and yet held on for way too long, doing much more onerous damage on the way to the ground. I don’t think they look for ways to spend their money. They are looking for ways to daemonize people, even they have every opportunity to recognize as innocent, so that they can hold them up to their donors. It is also quite clear, that they select their targets in favor of conservatives who would already have a high ‘dislike’ factor within their opposing base. They did terrific work in the beginning against the KKK and other hate groups for probably 40+ years. When nobody else was making a difference, they did. The demise of an organization that did so much good for so long is not a cause for celebration.